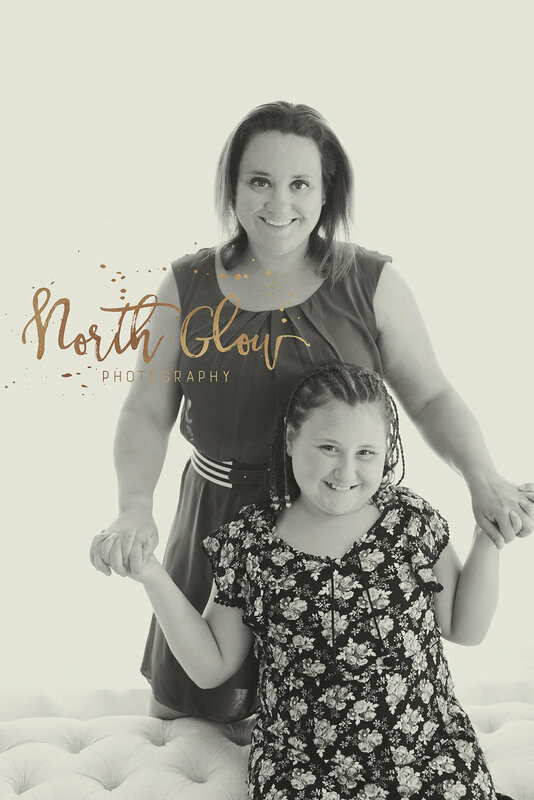 I have been doing these Mommy & Me photo sessions for about 7 years now. They are a HUGE favorite of mine. This year we did them at Cheri' Marie Salon & Bridal Lounge! Gorgeous! Honestly, they are easy, because how can we go wrong? Is there a mom in existence who doesn't love a photo of themselves with their baby? We have to work at it?! Or so we think. BUT, we all know, our babies think we are beautiful. For me. These photos are for me, but more they are for my kids. They tell their life story. Short story, I was going for a walk with my 12 year old. Now 12 yearolds, they are picky. (I say that to make this sound like such a bigger compliment). I was telling her, "Claire, every time I see clients they tell me, Oh Chelse, your Claire is so beautiful." (Which she is, and I like to tell her often, along with strong, smart and all the good things). She says: "Mom, I look like you. You are so beautiful. The most beautiful." She and my boys make me feel beautiful. Even when I don't. Mama, let me take your photo. Don't shrink out. Don't wait years and years and years. Just do it. Look at all these Brave Moms and their little's. BUY it, do it, stop worrying about it. Leave everything to me. I will make you feel beautiful. You will have professional photos with your babes. All will be well in the world.